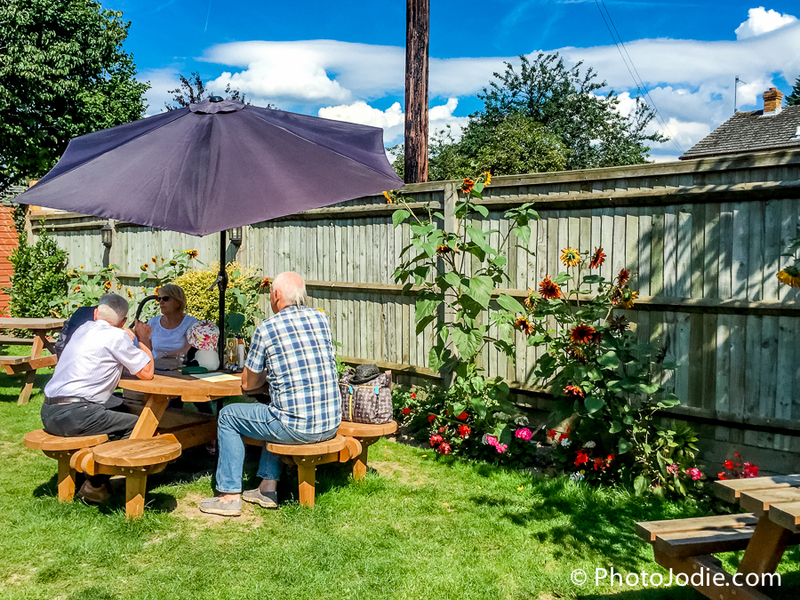 Picture the scene: Its a lovely sunny day, you have friends and relatives coming to visit from afar that you haven’t seen for a while and they fancy a spot of lunch. Pre-children this would have meant finding a charming little pub, ideally with a beer garden and you could while away the afternoon with a glass of wine or two, some food and enjoy each other’s company. With a three year old and a small baby? So I’ve set myself a quest: to find ‘family friendly’ restaurants in and around Maidenhead that make a family meal out just a little bit more manageable. 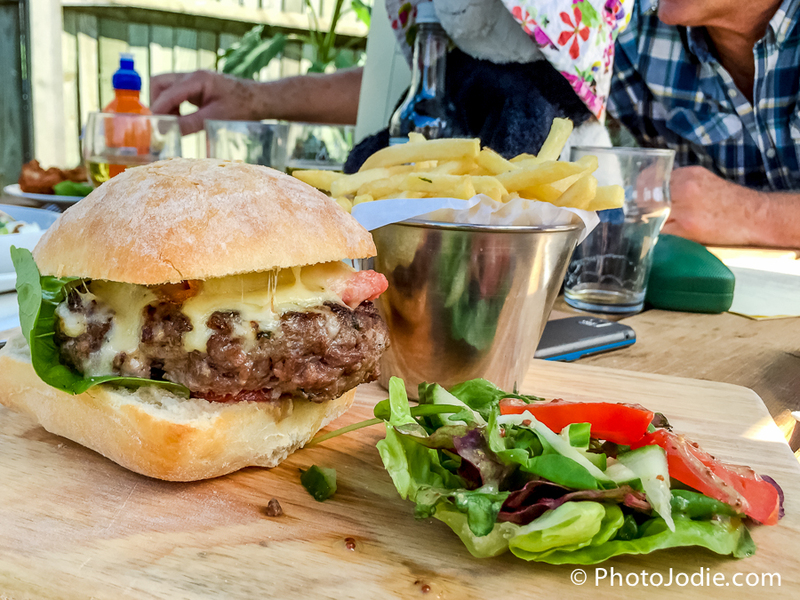 Although most pub and restaurant websites do a great job of painting a pretty picture about their food, or range of wines and beers, not all of them mention the little details that make all the difference to families . From baby changing facillities to children’s play areas, I’ll do my best to report back for us all! My Uncle David was visiting from Shanghai where he lives…The Walnut Tree looks like a quintessentially English Pub, he was rather pleased! 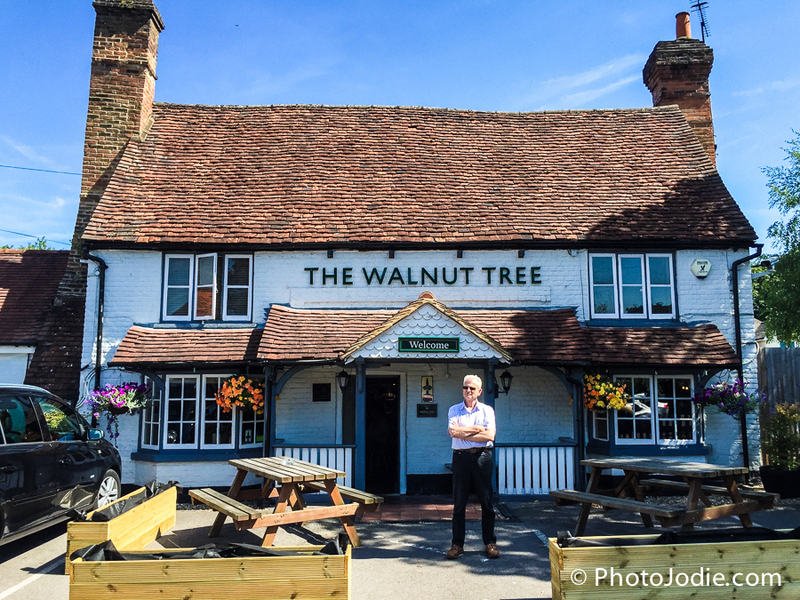 The Walnut Tree is a short drive from Maidenhead, just past Cookham Dean. Although only 5 miles from our house, it took us 15 minutes to drive there. But, on a lovely summer’s day it was a great drive and if you’ve got folks visiting from London they’ll love driving past rolling fields and through the pretty village of Cookham. There is parking right outside which felt like a real treat, although this may be due to us being early birds getting there at 1pm on a Saturday. 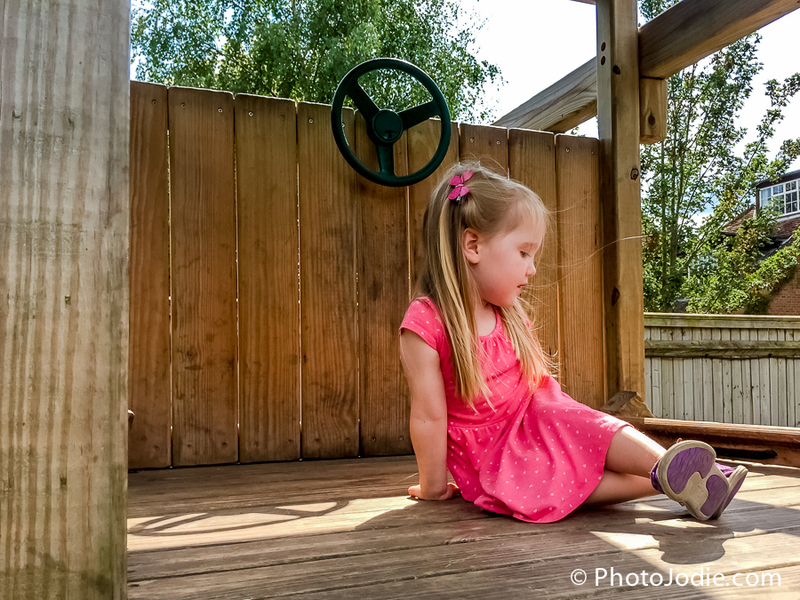 My little lady was three and three months at the time of our visit and she was able to climb up and play independently. 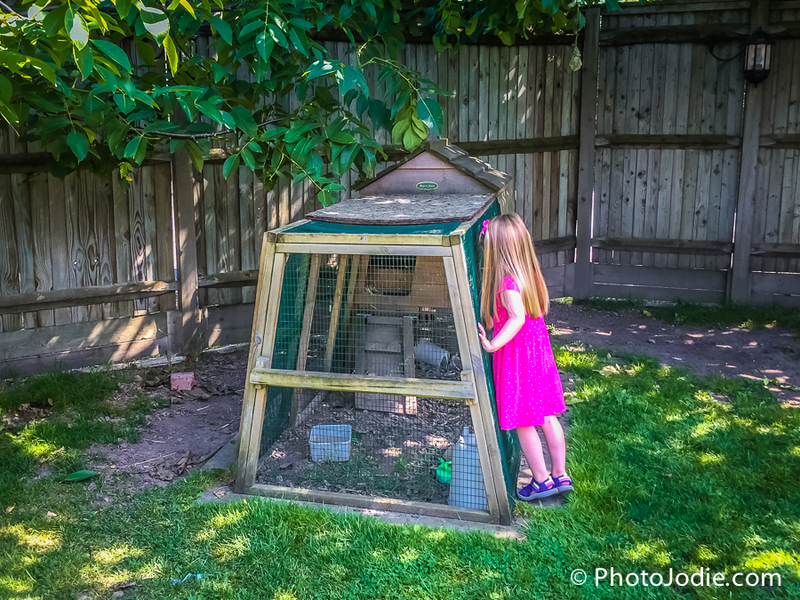 I’d been reliably informed by a few mums in Maidenhead Gossip Girls (Maidenhead’s community social media group) that the Walnut Tree had a children’s play area and free range chickens in the garden which sounded perfect to help keep the Little Lady entertained. My only concern was that on a sunny day it would be packed, so I made sure to ring in advance and reserve a table. The staff were really helpful and reserved a table inside for us all, but left it open for us to sit outside if we wanted. (With the Little Lady and the (very) Little Man with us (just 4 weeks), I wanted to make sure that we could sit them in the shade outside. The weather was so lovely that it seemed a shame to sit inside. I needn’t have worried though, arriving at 1pm we had the choice of the tables in the garden and were able to choose a table with a bit of shade and a parasol near the play area. 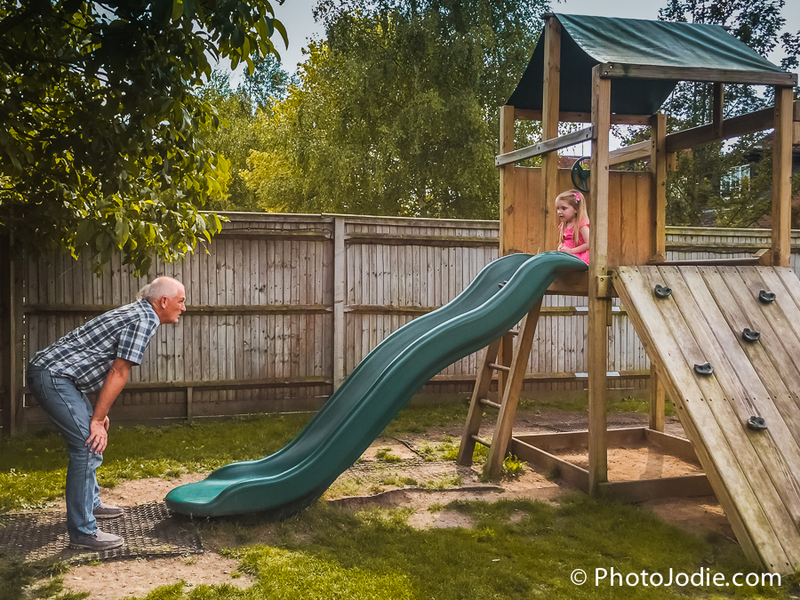 The only downside to the play area is that on a hot summer’s day the slide was very, very hot! I wished we’d bought some leggings for the Little Lady to wear under her dress so it didn’t burn her legs as she went down the slide. Kids being kids though, she figured out that if she just went fast enough she could just about cope! 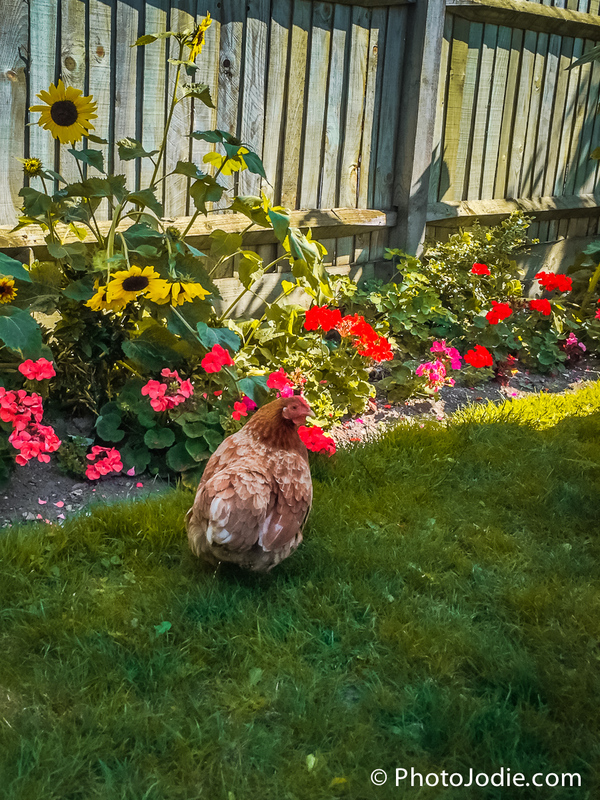 The chicken helped keep the lady entertained while we were able to chat and catch up. I liked the variety on the menu. There was a light bite menu for sandwiches and then the main menu had a range of contemporary salads (I went for the Crispy Beef Thai Salad), alongside more traditional dishes like Roasted Pork Belly. 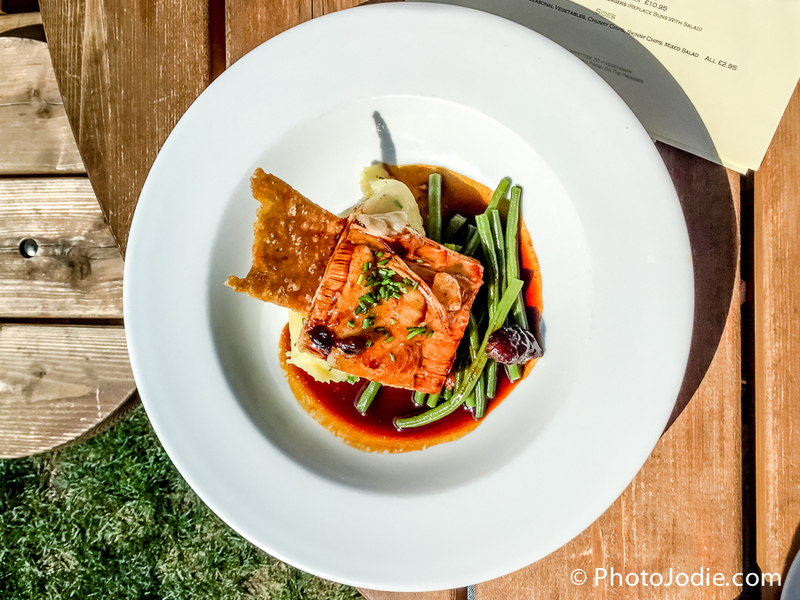 Unusually for pub grub, it wasn’t all deep fat fried and it didn’t veer too much towards the other end of the spectrum with complicated gastro-pub style dishes. It looked like a great burger! My Dad chose something a bit more traditional and went for the Pork Belly. 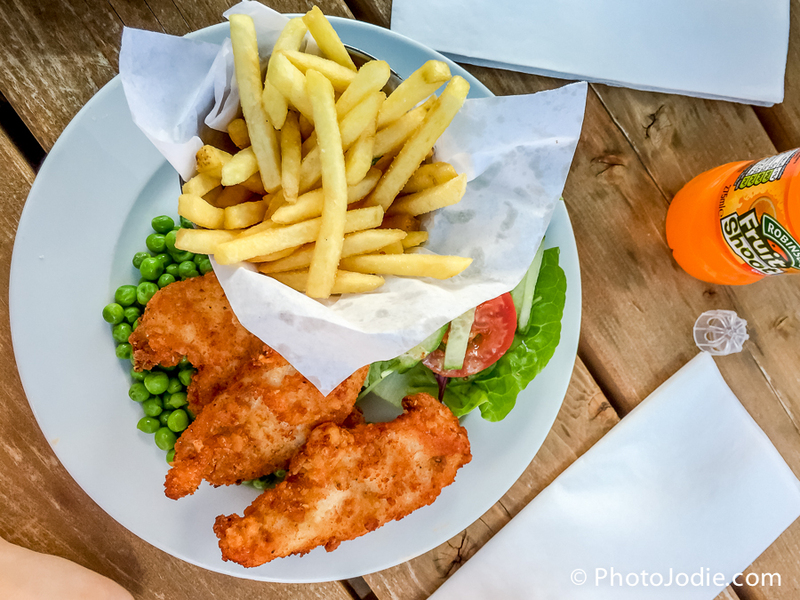 A children’s chicken and chips. We were impressed by the portion sizes. 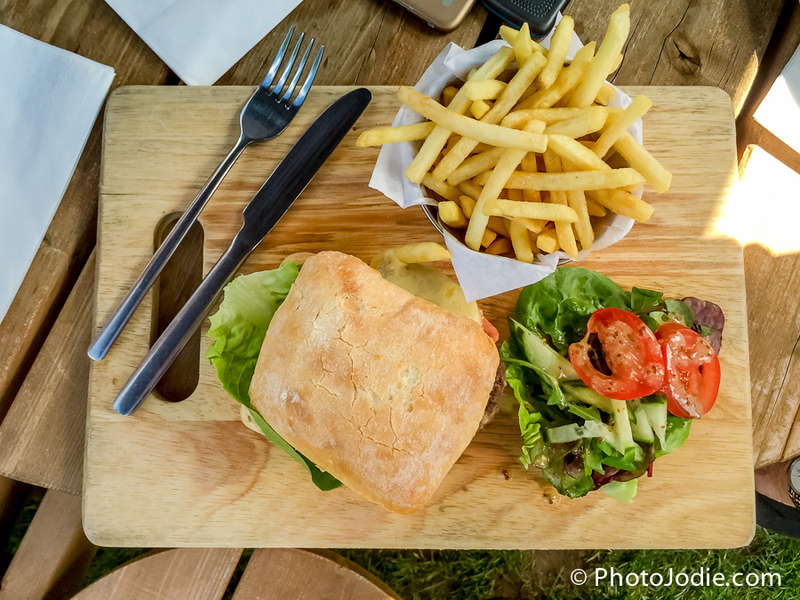 There is a separate menu for children, and some of the dishes on the main menu can also be ordered in small or large, so if you have slightly older children that fancy something a bit more grown up than chicken and chips you’ll have plenty of options. With Main Courses costing around £11 I’d class the food as being ‘mid range’. It’s not as cheap as some of the bigger chain pubs that you’ll find, but equally it’s not in the league of some of the gastro-pubs in Bray and Holyport. I thought it was really fairly priced for the quality and variety on offer. The children’s meals are a generous size – probably twice what my three year old could manage… although there are always people willing to help with spare chips! I should mention that the chicken on my daughter’s meal was a bit over cooked and dry. 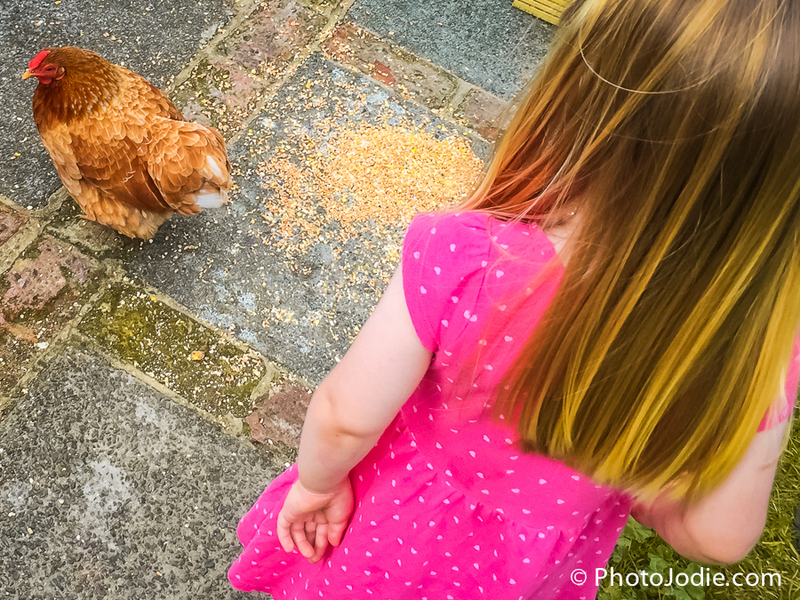 No-one likes being ‘The Complainer’ and I ummed and ahhed about whether to say anything or just let it pass… but seeing as it had meant that the chicken had gone largely untouched, I thought I should mention something. It was lovely that the staff apologised and arranged for a refund for her meal with no quibbles. 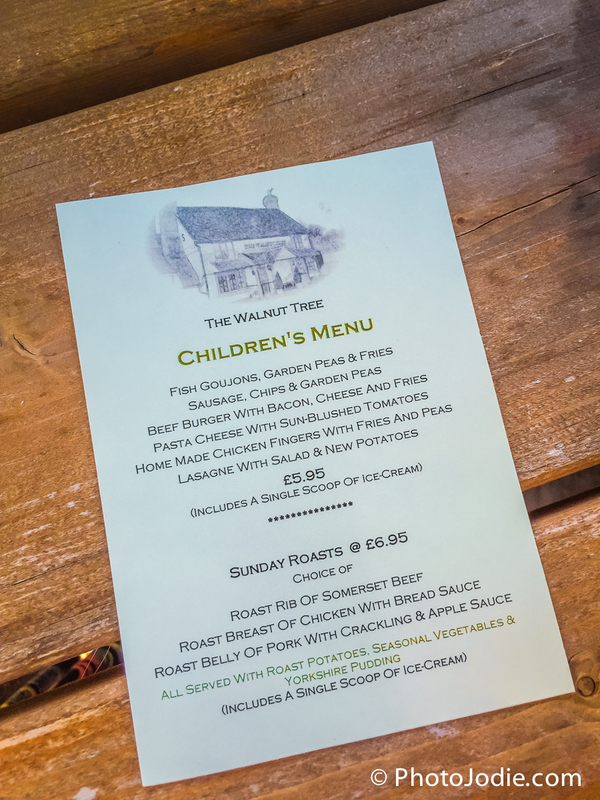 I really enjoyed our visit to the Walnut Tree and we will definitely visit again. 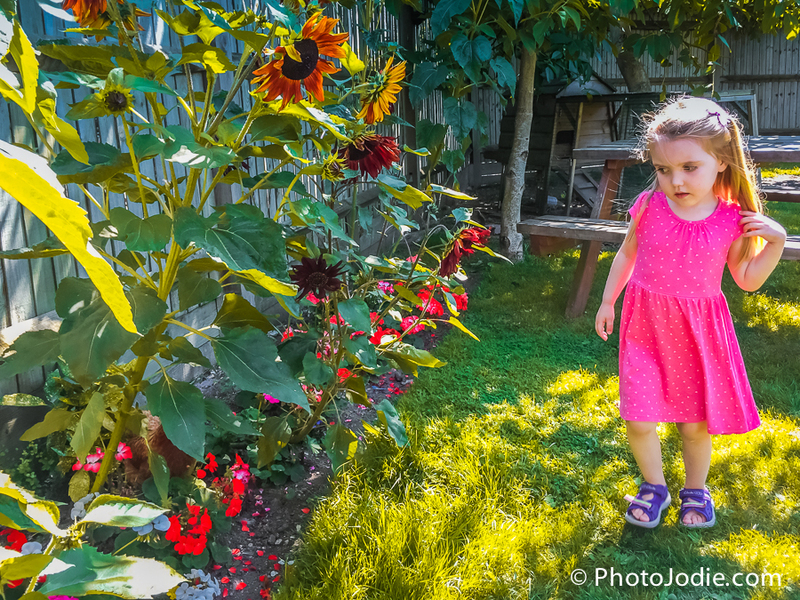 I just wish that we could rely on the British weather a bit more so that we could sit in the garden every time! 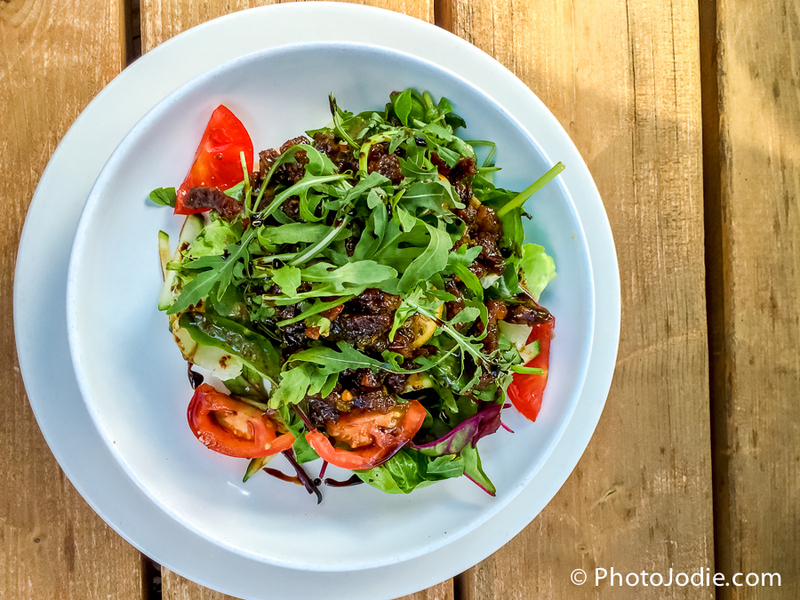 The Walnut Tree were not aware that I was writing this review for the blog at the time of my visit so I can guarantee that there was no ‘favouritism’ towards us, we were just regular paying customers. Perfect Friday Wine, perfect on Saturdays too. A Gadget Mum’s guide to the September 2015 Apple Event. 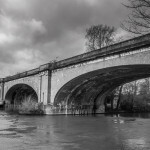 Crossrail, what would Brunel think? Loved your blog on The Walnut Tree – I have reposted on the FB page I run called Beautiful Bourne End. 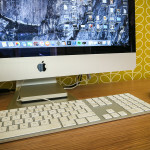 Good luck – would love you to post on the page when you next write a review! Oh, thanks Sarah. Have just joined your group too! Will keep you posted, and likewise, if you can think of other family friendly places let me know!